Now new! 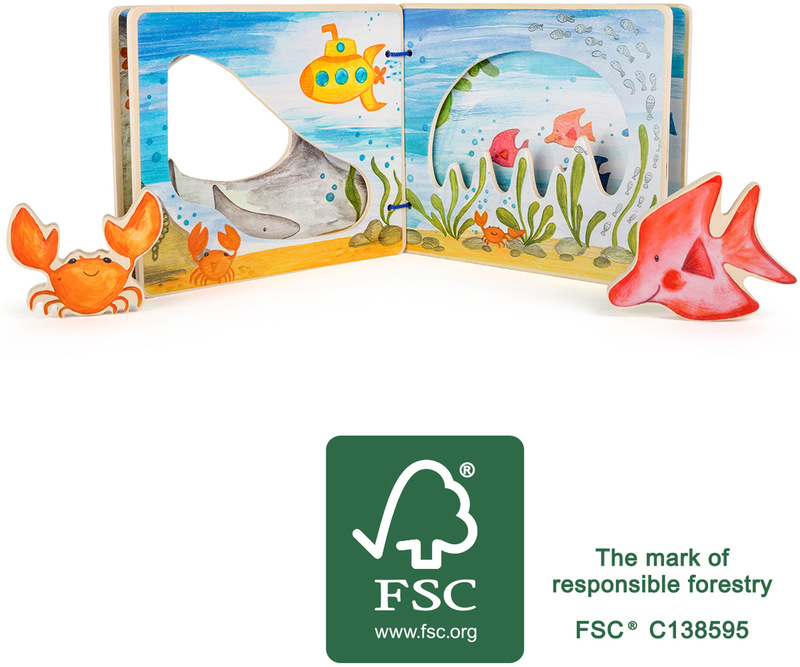 Picture Book „Interactive Underwater World“ is getting its FSC® certification! So much going on under the water! With this interactive picture book made of FSC® 100%-certified wood, children can enjoy playfully discover the underwater seaworld. Crabs and fish dive through the openings of the colourfully designed pages and can be placed between them for a short stay. The underwater world can be played with again and again and encourages the imagination. After their outing, the two friends can be simply attached to the back of the book with the Velcro-type fastener. Please note that this product previously had the product number 10840.